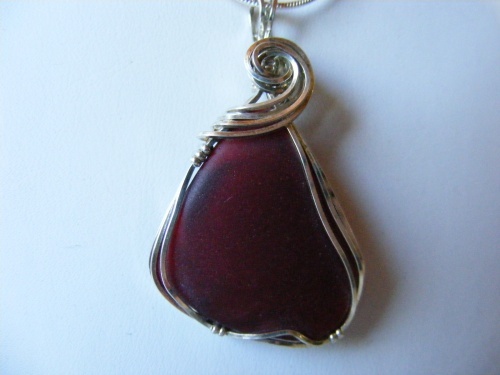 This rare and authentic piece of deep red is so elegant with its sculpted swirl of sterling silver. One of a kind and red is very hard to find. Piece measures 1 3/4" from top to bottom and 1" at its widest point. Comes with a sterling silver chain.